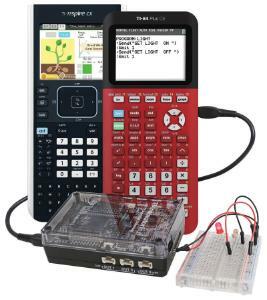 This project kit makes coding and engineering design accessible to students in the classroom. 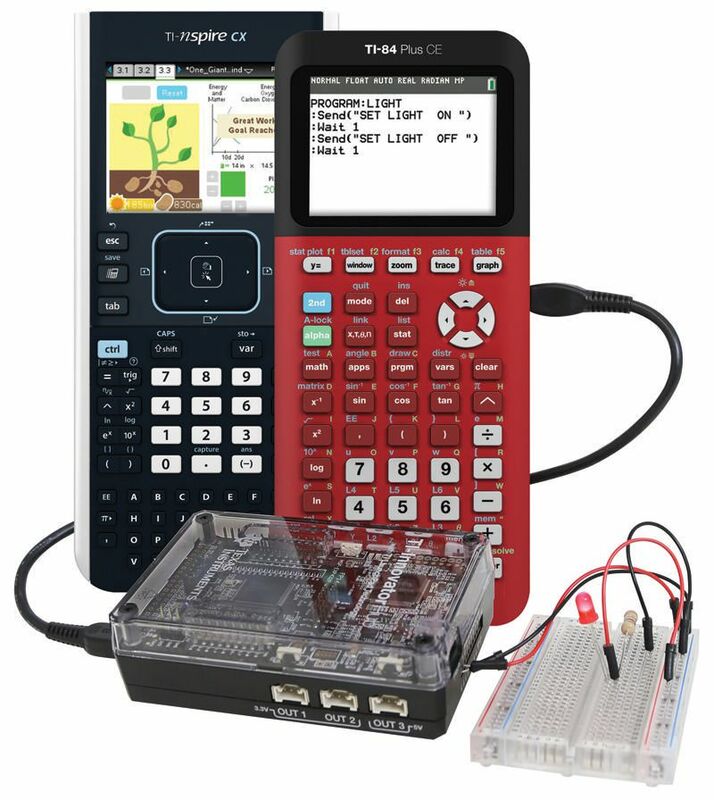 The TI-Innovator System teaches students basic coding and design. It’s durable and made for the class room. I/O ports support additional components to expand TI-Innovator System's functionality. TI LaunchPad™ Board inside has the same technology that engineers use to design products. The built-in LED light, RGB, light sensor, and speaker are perfect for quick coding projects. Ordering information: The TI-Innovator Hub Kit includes the TI-Innovator Hub, the TI Wall Charger, and three USB cables: standard-A to micro-B, mini-A to mini-B, and standard-A to mini-B. 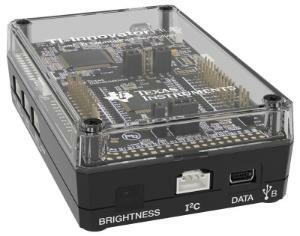 The TI-Innovator I/O Module Pack includes a light-sensor module with a detachable cable, a LED module with a detachable cable, a vibration-motor module with a detachable cable, and a servo motor with an attached cable. This kit requires assembly. The TI-Innovator Breadboard Pack includes a 2 x 3” breadboard, 40 male-to-male breadboard jumper cables, 10 male-to-female breadboard jumper cables, assorted LEDs (5 green, 10 red, 2 RGB), assorted resistors (10 each of 100 Ohm, 1K Ohm, 10K Ohm, 100K Ohm, and 10M Ohm), assorted capacitors (one each of 100 µF, 10 µF, 1 µF), 7 segment displays, a 940 nm infrared transmitter and receiver, a thermistor, an analog temperature sensor, a potentiometer with a knob, a small DC motor, a diode, a light sensor, a SPDT slide switch, an 8-position DIP switch, an 8 100 Ohm resistor, a SIP package, 2 power MOSFETs, and a 4-AA battery holder. The Ultrasonic Ranger Module includes the Ultrasonic Ranger Module with a detachable cable. External batteries also available for purchase with components that require extra power.